Uber has gained popularity around the country as one of the nation’s premier ridesharing services. Uber has operations in almost 800 metropolitan areas worldwide. Uber can be accessed via its multiple websites and mobile apps. Because of its popularity, there is a chance that you may be injured in an accident involving this ridesharing service. If that is the case, you may find yourself unaware of all your legal options and on how to proceed. If you or a loved one has been injured in a rideshare accident, call Zinda Law Group at (800) 863-5312 for a 100% free case evaluation with our Fort Collins Uber accident lawyers. If you’ve been involved in an Uber wreck, it is important that you take the necessary steps. If you or someone else has been injured in the accident, it is important to seek swift medical attention. Calling the police also allows for a thorough investigation of the accident and accurate documentation when it comes time to file a claim. It is essential to have the contact information of the driver so you can reach out to them directly if and when the time comes, instead of having to traverse the corporate scheme in trying to get their information. It is important to follow up with the police officer to get their crash report, as this will likely be the most accurate document detailing the scene of the crash. Who’s at Fault: Uber or the Driver? Because Uber is a relatively new service, insurance protocols are still somewhat undecided. Since Uber is not a conventional taxi service, the drivers are considered independent contractors, rather than employees. As the drivers are classified as independent contractors, Uber therefore does not have to assume all of the liability or carry the same type of insurance as they would for a regular employee. As it currently stands, Uber does have insurance coverage for its passengers who are injured in Uber accidents. Uber’s insurance policies are able to cover up to $1 million in damages. If your damages exceed this threshold, you may need to sue Uber directly. However, Uber’s insurance may be secondary to the actual Uber driver’s own personal insurance in some situations. At Zinda Law Group, our Fort Collins car accident attorneys have helped thousands of victims get their lives back on track after suffering an injury. We have the knowledge and resources necessary to help you build the strongest claim possible and pursue maximum compensation for hospital bills, future medical costs, property damage, lost income, pain and suffering, and much more. Our firm also believes an injury victim should never have to worry about being able to afford legal representation. That is why we offer 100% free consultations, and why you pay nothing unless we achieve a favorable settlement, judgment, or verdict for your case. That’s our No Fee Guarantee. 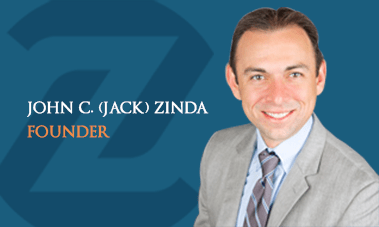 If you have been injured in a car accident, call Zinda Law Group at (800) 863-5312 to receive your free consultation with one of our Uber accident lawyers in Fort Collins. Meetings with attorneys by appointment only.